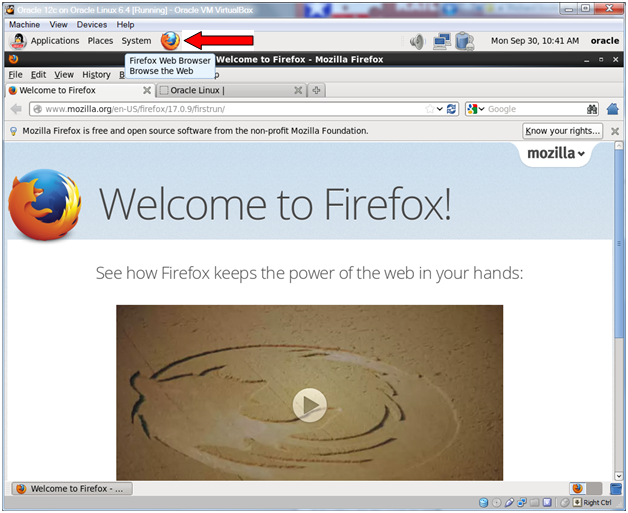 Click the Firefox icon in the menu bar to open Firefox. 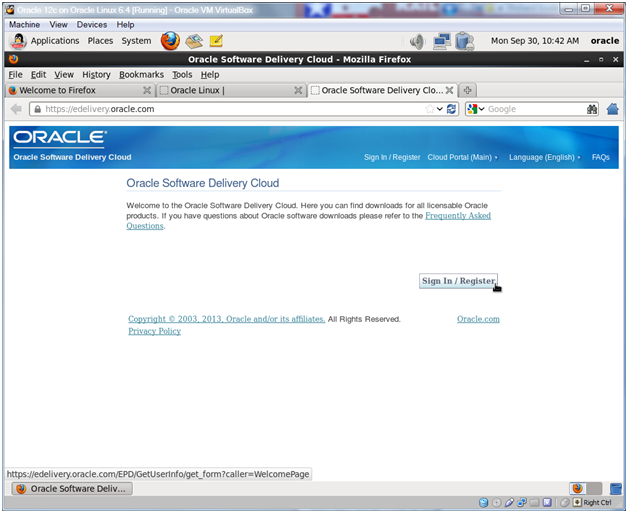 Go to http://edelivery.oracle.com and click Sign In / Register. Make sure that you go to edelivery.oracle.com and not edelivery.oracle.com/linux. 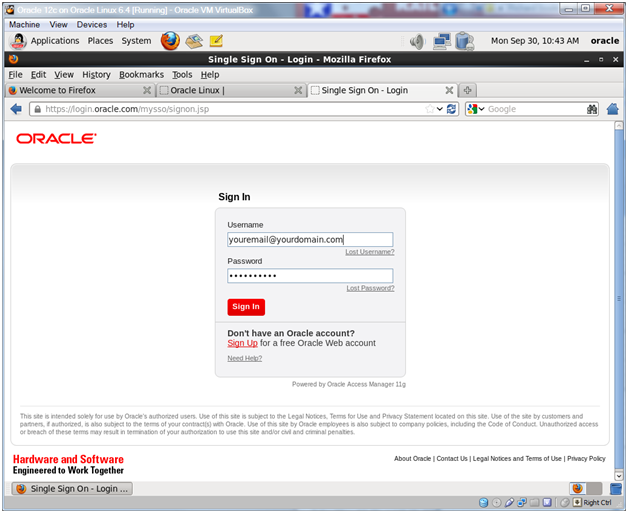 Enter your Oracle.com username and password and click Sign In. 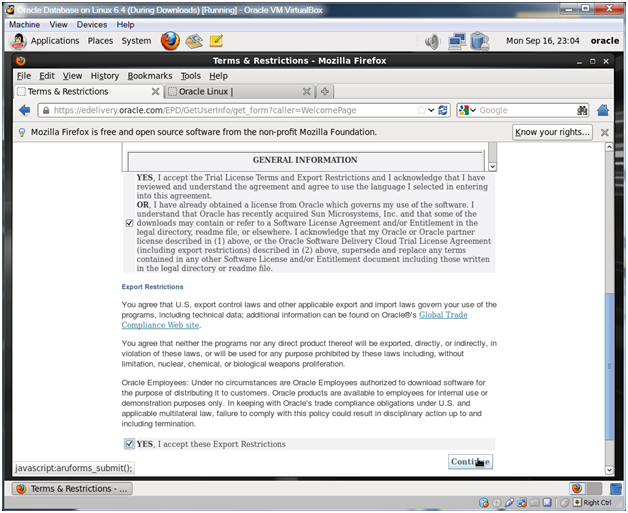 Check both agreement terms and click Continue. 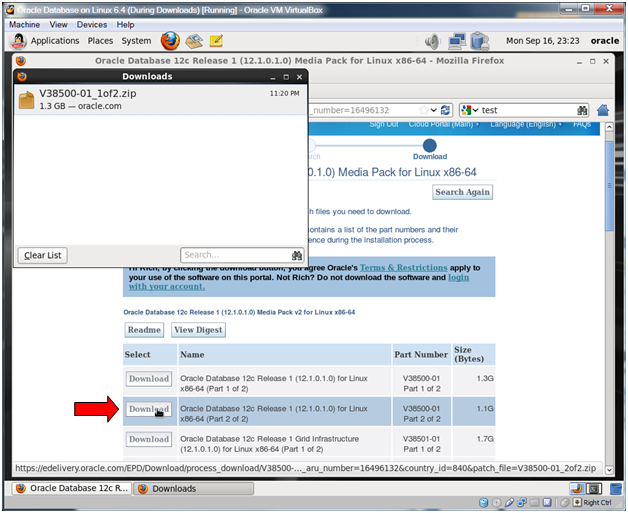 Choose Oracle Database for Select a Product Pack and Linux x86-64 for Platform and click Go. 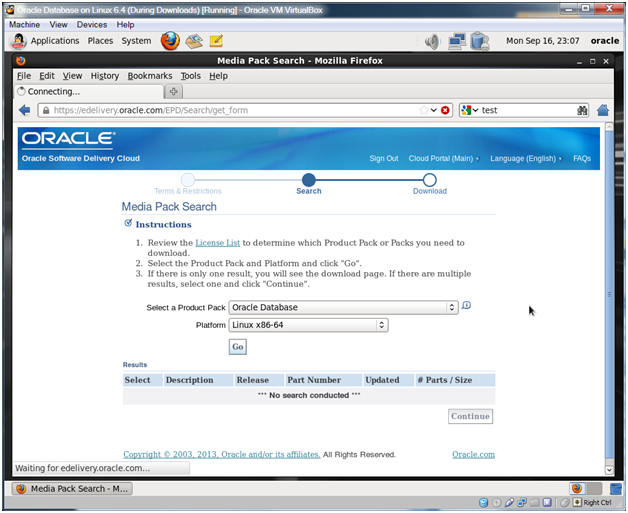 Click the Oracle Database 12c Release 1 (12.1.0.1.0) Media Pack for Linux x86-64 link. 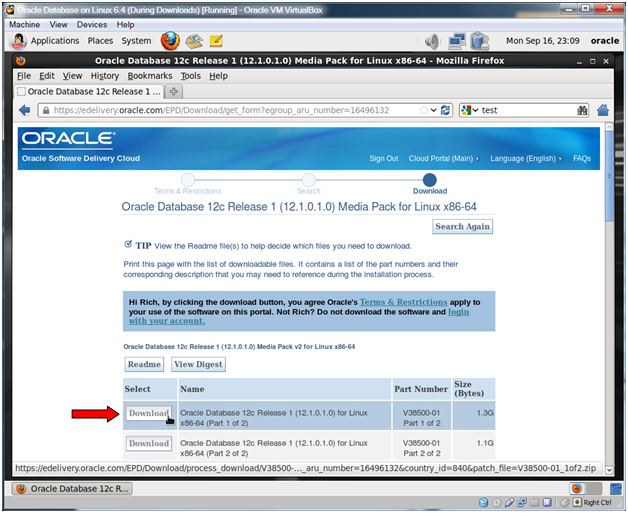 Click the Download button for Oracle Database 12c Release 1 (12.1.0.1.0) for Linux x86_64 (Part 1 of 2). Click OK to open the download with the Archive Manager. The Extract dialog will appear. Click the left arrow icon in the Archive Manager. 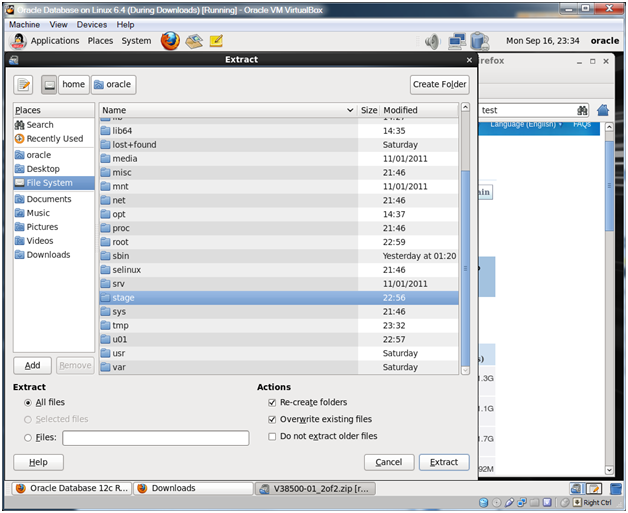 Click the File System Disk icon and then double-click the stage directory. Double-click the 12.1.0 directory (not shown) and you’ll see the File System icon followed by the stage icon followed by the 12.1.0 icon (which will be grey as it’s the directory we’ll extract to). It’s important for these extracts that we put everything into the right directories. 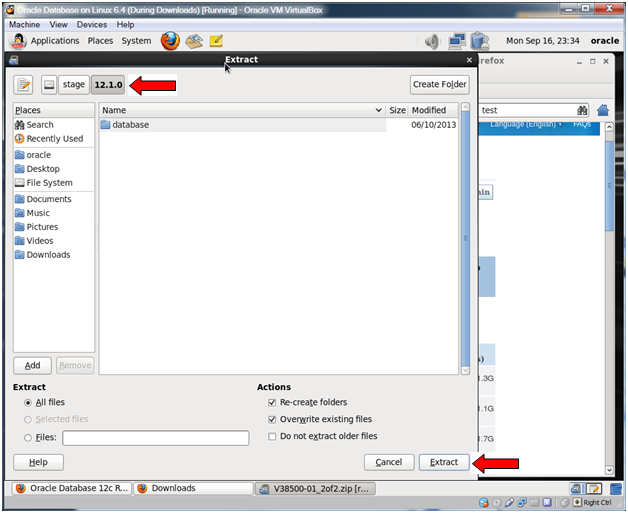 Make sure that you are extracting the Database and Grid downloads to the /stage/12.1.0 directory. 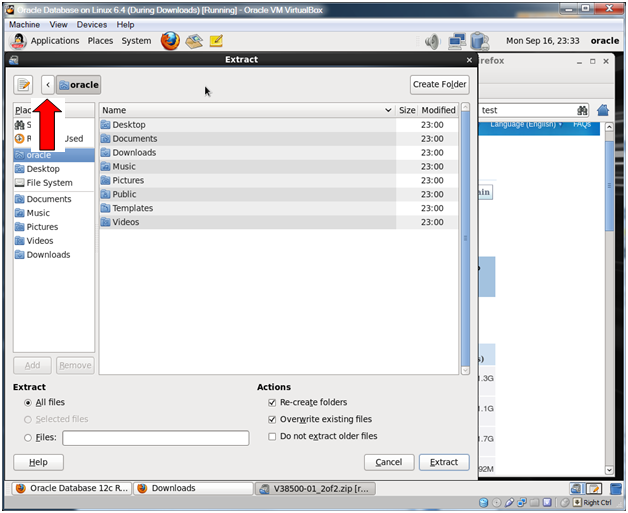 Each download will add either a database directory or a grid directory. Once the extract is finished click Quit. 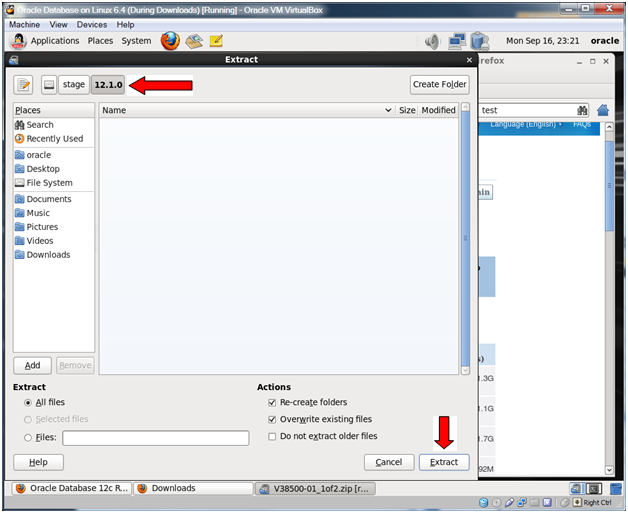 Click the Download button for Oracle Database 12c Release 1 (12.1.0.1.0) for Linux x86_64 (Part 2 of 2). 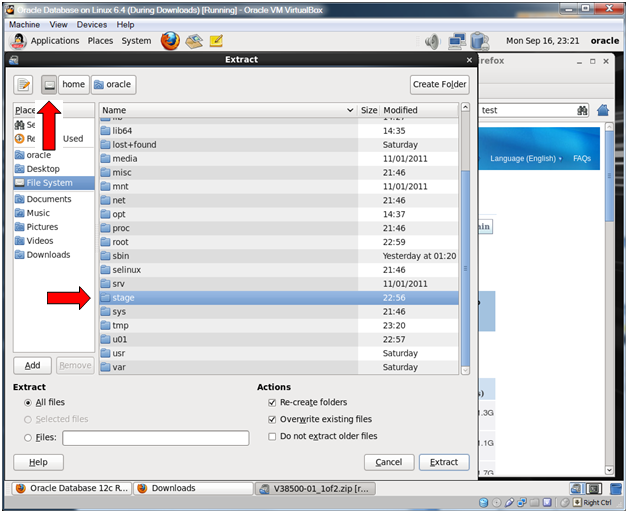 Click the File System Disk icon and then select the stage directory as you did previously. 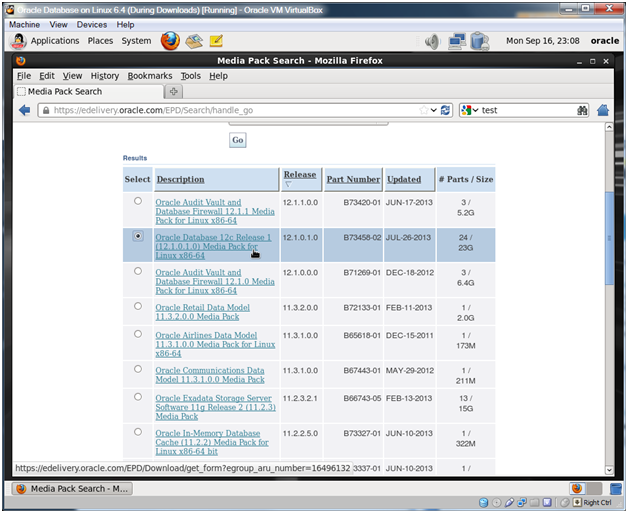 Double-click the 12.1.0 directory (not shown) and click Extract. Make sure you stop at the 12.1.0 directory and don’t extract files into the database directory. 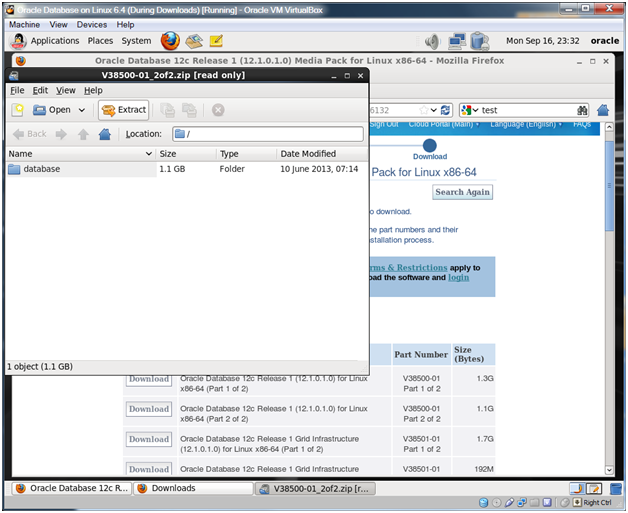 The download already has a database directory in it and it will just add to the existing database directory. In short, make sure your extract location appears as above. The file will extract. When the extract is finished, click Quit. 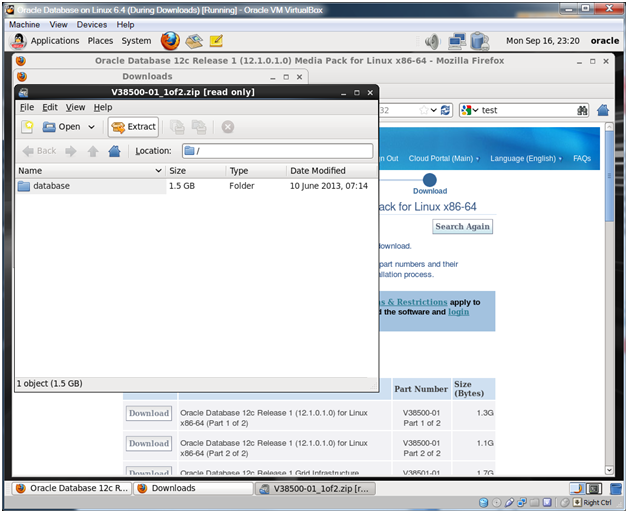 This entry was posted on Wednesday, April 2nd, 2014 at 7:09 pm	and tagged with Database Install, Oracle, Oracle Linux and posted in Code, Linux. You can follow any responses to this entry through the RSS 2.0 feed.